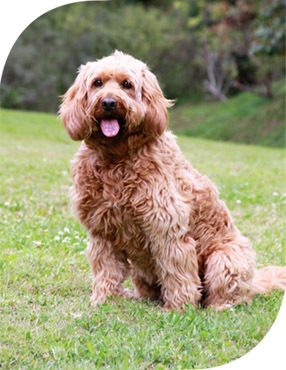 The dog kennels at Midtown Pet Centre are nestled within the tranquil surrounds of the gorgeous Gold Coast hinterland and offer premium pet accommodation in a totally relaxed atmosphere. When boarding at our luxury facility, you can rest assured that your beloved pooch will receive the highest standard of care and attention from our warm and loving staff. With large open spaces and ample room to run and roam, all dogs are treated to at least 2 scenic walks around our idyllic property each day. The ultimate canine playground, your dog can romp around our purpose built exercise areas or explore the beautiful grassy pastures. Dogs are the most affectionate creatures in the world, and love unconditionally, but it’s important that their affection is reciprocated by the people around them. We treat every canine guest with the care and consideration that they deserve and always make them feel appreciated. Nourishing treats are given to dogs twice a day, sometimes more. We love to spoil them! All dog kennels are large and spacious, ensuring your pets have plenty of room to lounge about and relax. Each kennel is equipped with comfortable bedding and is cleaned multiple times a day, guaranteeing sanitary conditions at all times. Australian summers are notoriously brutal and for this reason, we’ve installed a state-of-the-art air conditioning system to provide ideal temperatures all year round. Likewise, if it’s a chilly winter’s night, your dogs will be safeguarded by cold, as well. There’s few things our beloved dogs fear more than the sound of thunder during a big storm and we’ve gone to great lengths to ensure that any unwanted loud noises from outside are kept to a bare minimum by using sound-proof materials for all kennels. We administer all special medication at no additional charge. If your dog does have special medicinal requirements, please be sure to notify us when you make the booking and provide all necessary instructions for us. All dogs are treated to premium quality food as standard. If your dog does have special dietary needs or is used to having home cooked meals, our chef would be happy to create something specially for them from our kitchen. Ensure that your dog arrives and returns on time and in total comfort by taking advantage of our pet transport service. Fees vary depending on your proximity to our facility. For more information, please refer to our additional services page. For more information about our luxury Gold Coast dog kennels, contact the friendly team at Midtown Pet Centre today. To come in for an inspection, please visit our contact page to find out the appropriate times.